BRIDGES is honored to receive the Caring Company Award for 5 consecutive years from HKCSS, in recognition of our efforts in contributing to the society: caring for the community, employees & environment. Come enjoy the free spring roll at Lil’ Siam, a classic Thai restaurant located at SoHo. 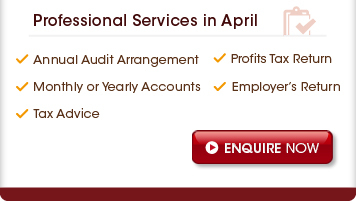 Offer is valid from now till end of April. Don’t miss the chance! 1-bedroom units, the appointed homes offer unparalleled comfort & ease to busy executives & travelers. Book NOW to enjoy rental discount! 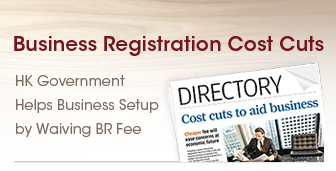 Recently, BRIDGES was interviewed by South China Morning Post on the move by the HK Gov’t introducing a waiver of HK$2,000 Business Registration (BR) fee. This substantial cut in BR fee will ease concerns at economic future, and help companies that use HK as a gateway to the mainland. 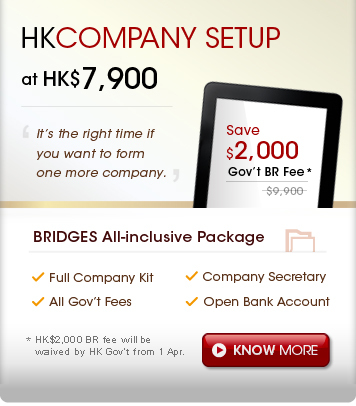 “From 26 Mar, our price of company formation will be reduced to HK$7,900, on account of the waiver of BR fee.” says Fion Sen, Managing Director of BRIDGES.